Anaemia is a common condition in kidney disease and other conditions where there are not enough blood cells or not enough haemoglobin to carry oxygen around the body. Anaemia also has a variety of other causes. Normal healthy blood is vital for health and well being – it carries cells and nutrients around our body, helping us to feel well and energetic. Red blood cells are doughnut-shaped cells. They contain haemoglobin (Hb), which carries oxygen in the blood. White blood cells (also called Leucocytes. A Blood count (FBC or CBC) is a blood test that shows the amount of haemoglobin, red cells, white cells and platelets in blood. Haemoglobin is responsible for the red colour of blood. It is carried in red blood cells. It is a combination of an iron-containing molecule haem and the protein globin. Why is anaemia important in patients with chronic kidney disease (CKD)? Severe anaemia can have significant impact on a patient's health. Your heart rate may increase as your body compensates for lack of oxygen by pumping more blood around your body. This puts extra strain on your heart and the heart wall thickens. Long term anaemia therefore can be a factor in causing serious heart disease. It can also speed the damage to the kidneys in higher stage CKD. It also reduces mental faculties such as cognition and concentration as well as decreasing sexual drive and the body's ability to fight disease (immune responsiveness). Why does it happen to people with Kidney Disease? Damaged kidneys are unable to produce enough of the hormone erythropoietin (EPO), which stimulates the bone marrow to produce red blood cells. Within these cells oxygen is carried around the body by a protein called haemoglobin. When haemoglobin cannot be produced in normal amounts then the body does not receive enough oxygen to meet its needs. Infections may also cause anaemia; this may be temporary if the infection resolves, but some infections which do not go away rapidly may need further treatment (for example recurrent urine infections, or infections around a dialysis catheter). It is also important to detect any blood loss from the bowel, and any indigestion should be reported to the doctor, as well as any change in the stools, either with blood being seen, or blackening of the stool (which can be caused by blood from the stomach, which turns black as it passes through the bowel). How do I know if I am Anaemic and how is it detected? Common symptoms are loss of energy and shortness of breath. Someone may also become irritable and frustrated at the difficulty experienced in doing daily tasks. The symptoms of chronic kidney disease - lethargy, mood fluctuations, disturbed sleep patterns and impaired sexual function - may be worsened. Hb levels - Your doctor can check your haemoglobin level. The check involves a blood test called a full blood count (FBC). The normal (healthy adult) range is 130--170 grams per litre (g/l) for men and 120-150g/l for women. Patients with impaired kidney function the normal range 100- 120 g/l. The Hb level has typically dropped below 100g/l if a patient is deemed to be anaemic. In some anaemia patients Hb levels can drop to as low as 40g/l. Transferrin - a molecule that carries iron in the blood -- About 25-45 micromol/l (2-4mg/l or 200-400mg/dl) is normal. High levels suggest iron deficiency. Low levels suggest too much iron, or a problem with the liver, or a protein leak into the urine (nephrotic syndrome) or under-nutrition. Iron - iron levels -- 10-32 micromol/l is about normal (50-150 mcg/dl). Vitamin levels - two vitamins important in the production of red blood cells (vitamin B12 and folic acid). If there is a deficiency of any of these, supplements can be given. How can Anaemia be treated? So drugs which act like the natural hormone erythropoietin have been developed in the laboratory. These drugs are called erythropoiesis stimulating agents (ESAs), and sometimes (slightly inaccurately) EPO. These agents produce an identical response to the erythropoietin normally produced by the kidneys and either may be used to make up the shortage of natural hormone. Regular monitoring will alert your doctor to a drop in haemoglobin level which can then be treated by these drugs, without the disadvantages of blood transfusions. In patients with advanced kidney disease (eGFR usually less than 25) additional iron is often needed to treat anaemia and get the best response to ESA injections. Test results such as ferritin and iron saturation may need to be deliberately driven higher than normal to get the best results. Iron tablets are often not enough, and iron may need to be given by intravenous injections. What will these drugs do for me? By increasing your haemoglobin level, these drugs will correct the symptoms of anaemia. Your energy levels and appetite should improve. You may experience improved heart and sexual functions. These drugs will not cure your kidney failure but they should make you feel much better so that you can enjoy a better quality of life. These drugs can be prescribed for haemodialysis, peritoneal dialysis and pre-dialysis patients and for those with a failing transplant who are anaemic. 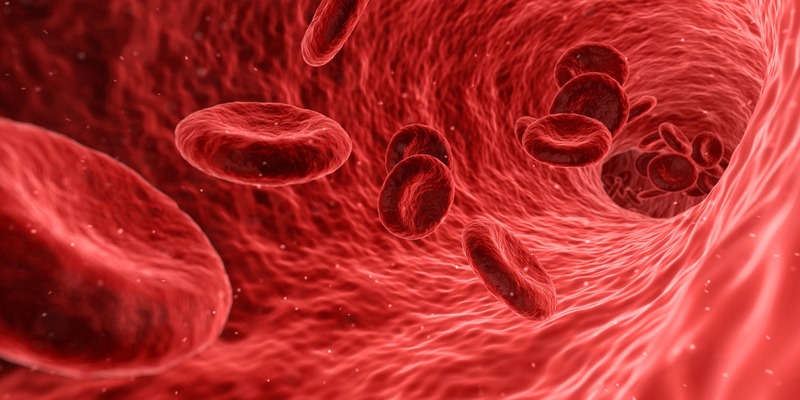 NICE is now advising healthcare professionals treating anaemia of CKD with erythropoiesis stimulating agents to maintain the haemoglobin range between 100 and 120g/l for adults, teenagers and children over two years, and to between 95 and 115 g/l for those under two years of age. These ESA medicine are given by injection, usually one, two or three times each week dependent upon the type of drug prescribed and the medical instruction given. They are injected under the skin (subcutaneous route) or into a vein or venous line (intravenous) following dialysis. They either come in pre-filled syringes ready to inject, or in vials containing either ready-to-inject liquid or a powder needing water to be added before injection. The treatment can be self-administered at home. The drug should be kept in the refrigerator and removed half-an-hour before injection so that it is not too cold. Check the solution before use. If it is discoloured, cloudy or has particles in it, do not use but return it to your supplier for replacement. Always read the instructions that come with the medicine. Where the patient is receiving haemodialysis (HD) treatment, it is usually that the intravenous iron is injected into the blood stream towards the end of a dialysis session. Your dose will be calculated according to your weight and adjusted to achieve a steady rise in haemoglobin level. Your doctor should set a target for your personal level, usually 100 -120g/l. Most patients want to know how their body is responding to treatment. Ask about your haemoglobin record card (dialysis patients click here; transplant patients click here) to keep your own personal record to refer to. The frequency of the intravenous iron injections will vary from patient to patient, weekly , fortnightly or monthly according to ferritin levels but a typical frequency in HD patients is fortnightly. These drugs will start to work immediately, but it could be a few weeks before your haemoglobin level rises to the point where you begin to feel better. In patients who have started treatment before their haemoglobin level falls below 10g/dl, the symptoms of anaemia should be kept at bay. What differences are there if I use Peritoneal Dialysis? PD patients are typically continually dialysing. This means that their regime is different to haemodialysis patients. They do not lose small amounts of haemoglobin as haemodialysis patients do. This means that the dosage frequencies of EPO and iron can be up to 8 times longer than haemodialysis patients. Will the treatment affect my dialysis and drug treatment? With a greater red blood cell concentration you may need to increase heparin during haemodialysis. Some patients experience a rise in blood pressure which may need medication to lower it. As your appetite returns you will probably want to eat more and a little extra dialysis may be needed. It is wise to stick to your diet to avoid any overload of potassium. Your body needs enough iron to support the extra red blood cells produced by the treatment. So, if your iron level is low, you will need supplements, either by tablet or by injection. When you begin taking an erythropoietic agent, your weight, blood pressure and haemoglobin levels will be monitored and the dose adjusted if necessary. You will still need all your usual blood tests. To minimise the risk of increased blood pressure, which appears in 1 in 5 people, it is important not to neglect your control of salt and fluid intake. The blood pressure should be checked immediately before an injection, which may need to be delayed if the blood pressure is too high. Very rarely, high blood pressure can cause a seizure but careful monitoring should prevent this. Because the blood is ‘thicker’ with a raised haemoglobin level, a fistula may be at a higher risk of clotting. Anyone who has angina should report any worsening of symptoms immediately to their doctor, though it should be remembered that angina usually becomes less frequent with an improvement in haemoglobin effects from taking these drugs. As with any other aspect of your treatment, if you feel unwell tell your doctor immediately. Internationally anaemia is defined as a state in which the quality and/or quantity of circulating red blood cells are below normal. Blood haemoglobin (Hb) concentration serves as the key indicator for anaemia because it can be measured directly, has an international standard, and is not influenced by differences in technology. NICE has defined the pathway for anaemia treatment in CKD patients. Diagnosis should be on the basis of evidence of CKD for ≥ 3 months.